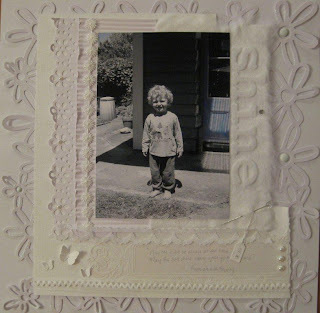 For 'Scrap-it-lah' June Challenge to scrapbook in WHITE. Loved it! Gorgeous layout, Sally!! You wouldn't think white on white would work, right? But the details definitely 'shines' through! !